European stocks finished the session mainly in the red, after fresh data from China showed that the economy grew at the slowest pace since 1990. Traders were also waiting for British Prime Minister Theresa May to announce a “plan B” for Brexit, which she must submit to parliament later on Monday. Last week, UK lawmakers rejected the May agreement to withdraw from the EU, which was an expected event. Subsequently, the Prime Minister won a confidence vote, which was announced by opposition leader Jeremy Corbin, albeit with a small margin of 19 votes. In addition, the International Monetary Fund reduced its forecast for global growth for the second time in three months. Currently, the Fund forecasts growth of 3.5% worldwide in 2019 and 3.6% in 2020. This is 0.2 and 0.1 percentage points below its latest forecasts in October. 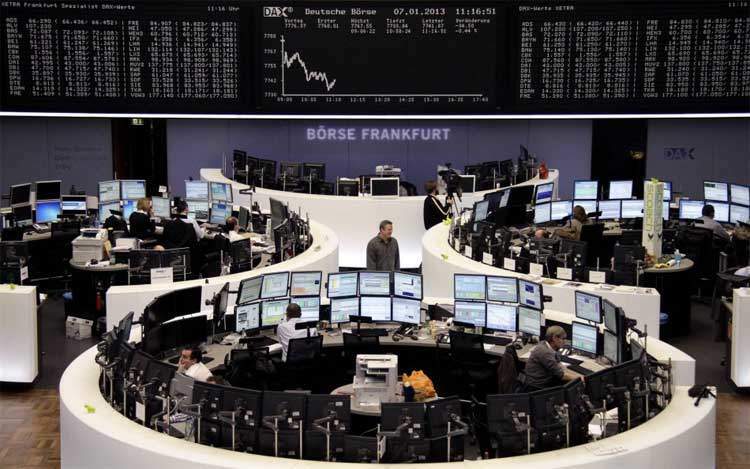 The composite index of the largest enterprises in the region Stoxx Europe Index 600 fell by 0.26% to 356.11, while most sectors and major exchanges showed a decline. Market participants played out the news of the slowdown in the world’s second largest economy. Official data released on Monday indicated that China’s gross domestic product increased by 6.6% in 2018 compared with the previous year, which was in line with analysts’ expectations, but was also the slowest rate in nearly three decades. This is the last sign of the weakness of the Chinese economy, and is celebrated at a critical moment in Beijing’s trade battle with the United States. Since the beginning of 2018, the two countries have been in a tense trade dispute, but are currently trying to prevent further escalation during the 90-day truce. President Trump said over the weekend that a trade deal with China “could well happen,” but he denied what he called “false reports” that the US is considering canceling duties on Chinese imports. The telecommunications sector was one of the main outsiders on the first trading day of the week, burdened by companies such as Italian Telecom Italia and French Orange. The share price of Telecom Italia fell by 2.62% after news that the regulator of intercom refused to plan for the allocation of its fixed network. Orange fell 0.9% after the company challenged reports that it was considering a bid for Spanish rival Euskaltel. The price of securities of the German chemical company Henkel collapsed by 9.75% after it published preliminary financial results and said it would increase investment by about 300 million euros. The capitalization of Air France-KLM jumped 5.24% after Davy Research upgraded the stock to “increased weight” from “neutral”.